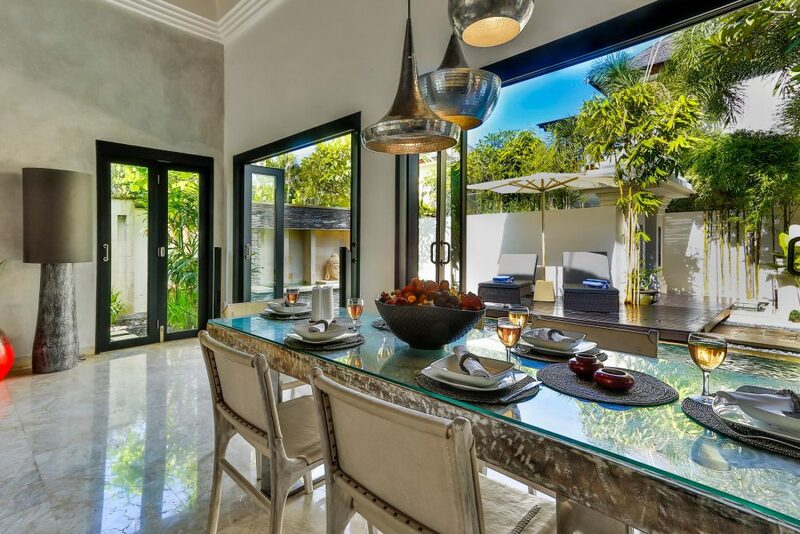 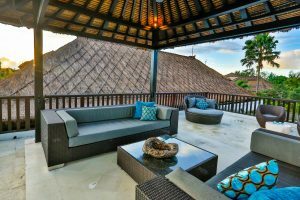 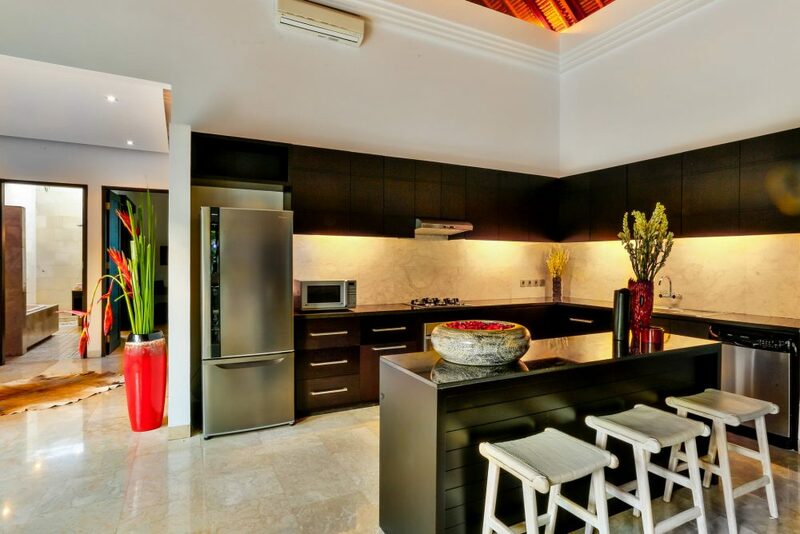 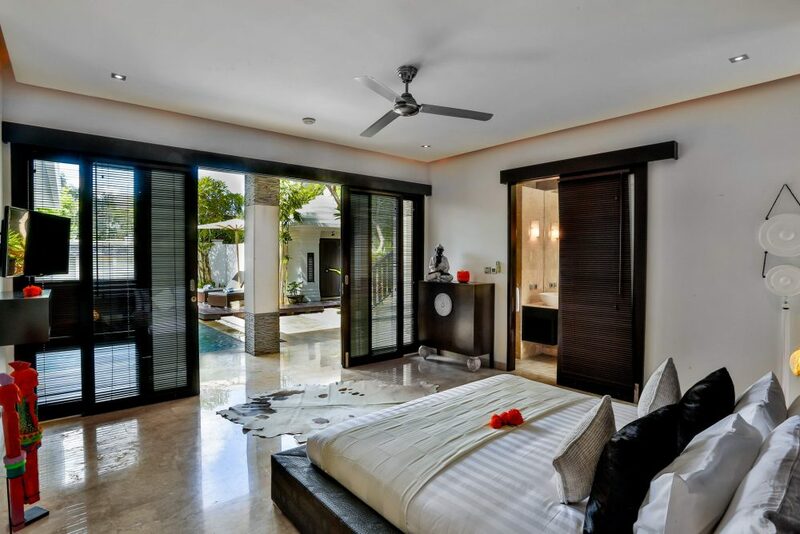 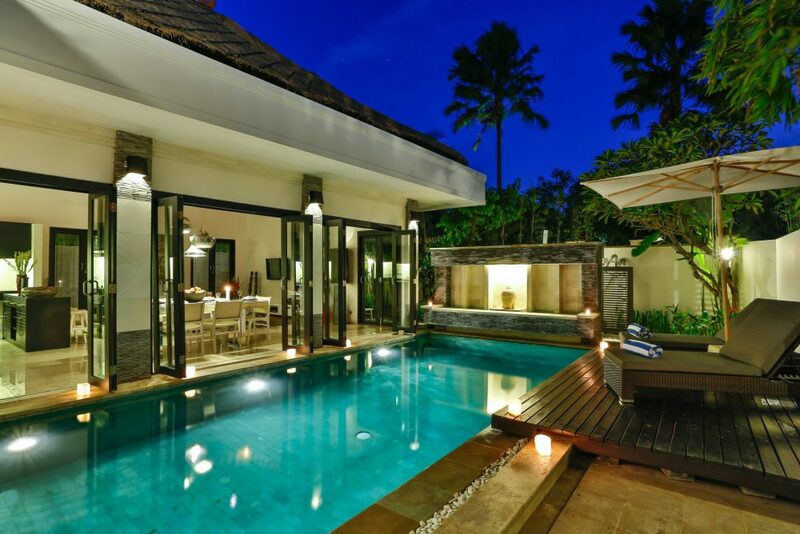 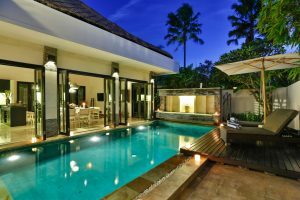 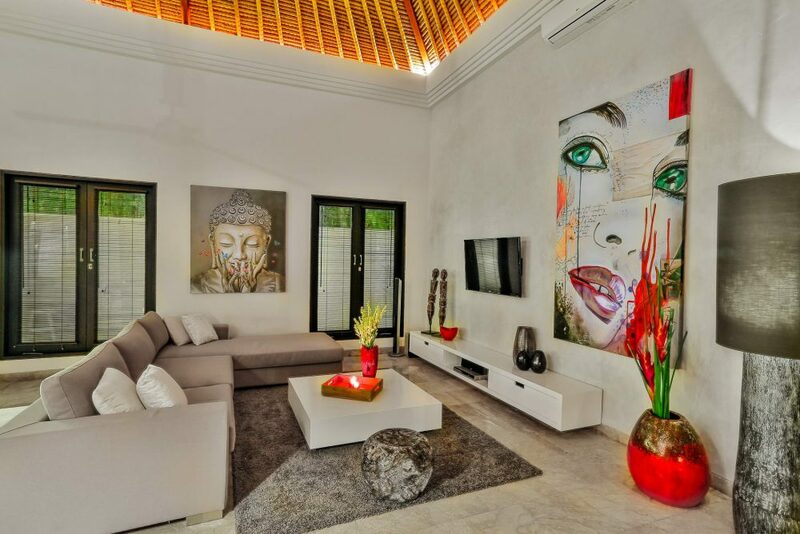 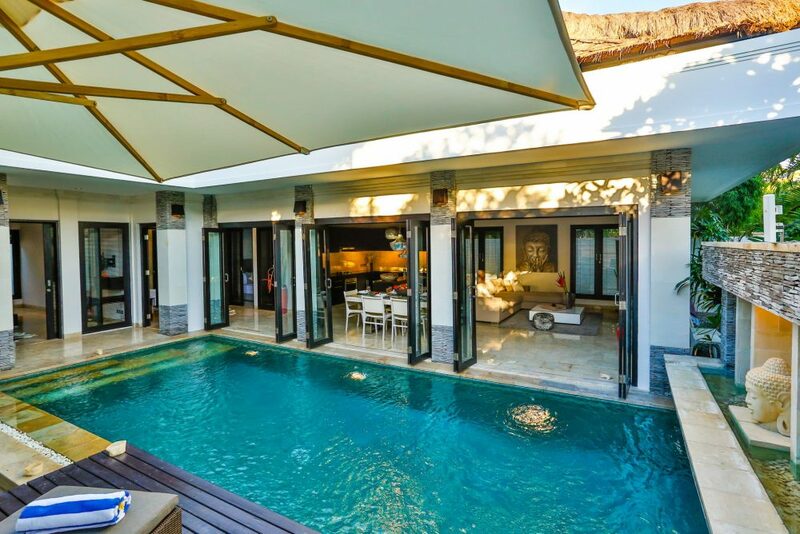 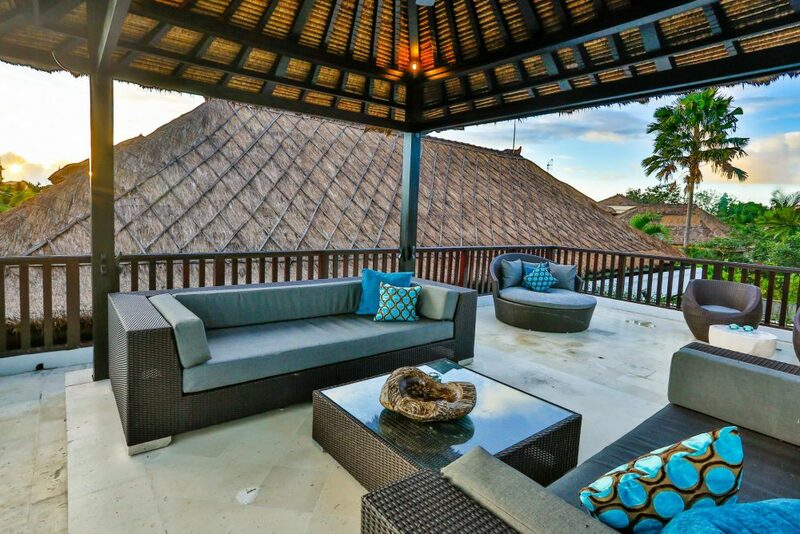 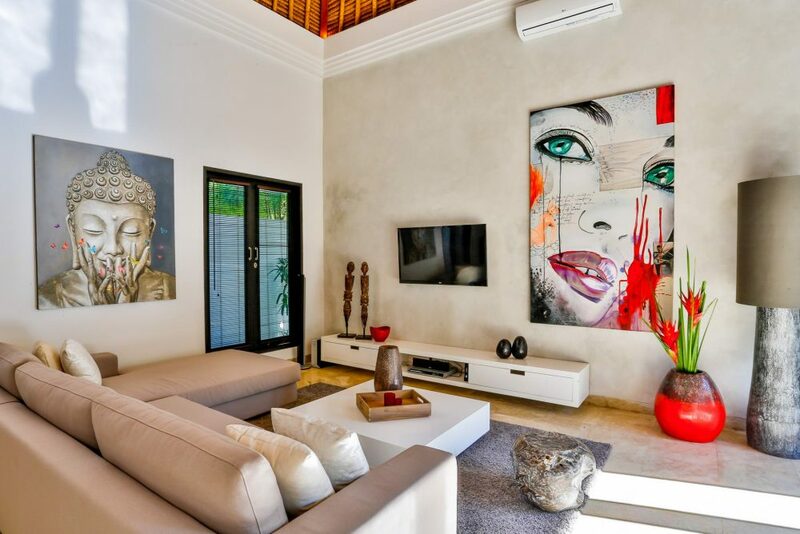 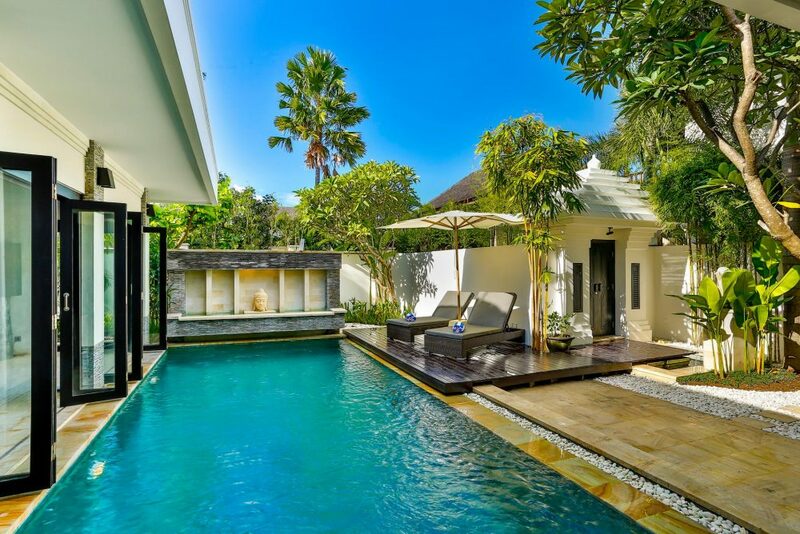 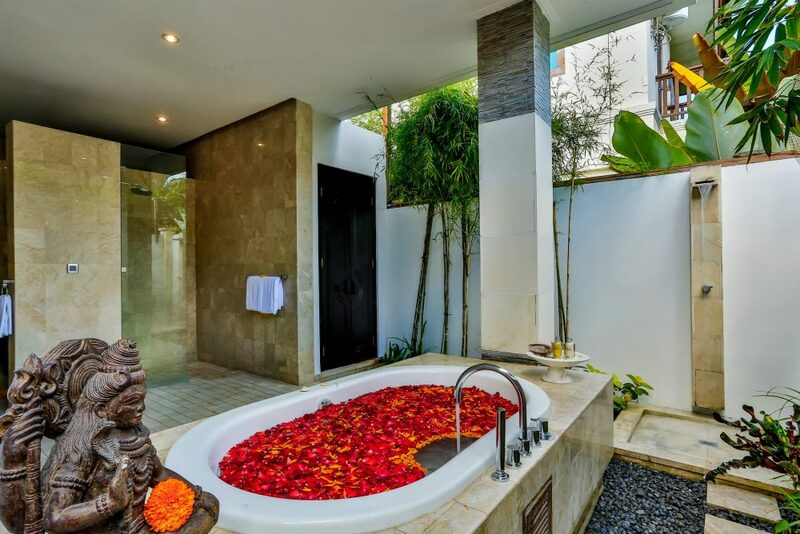 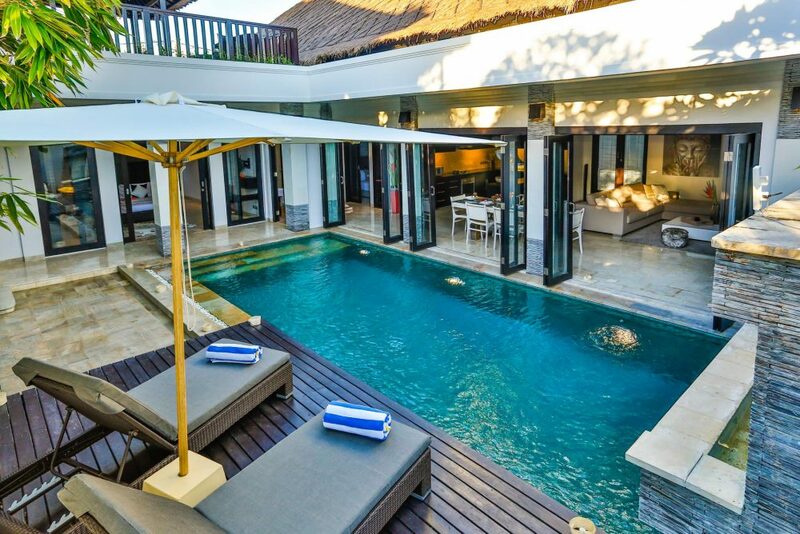 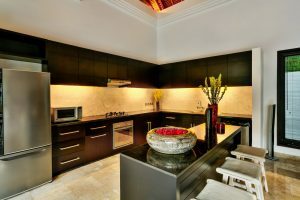 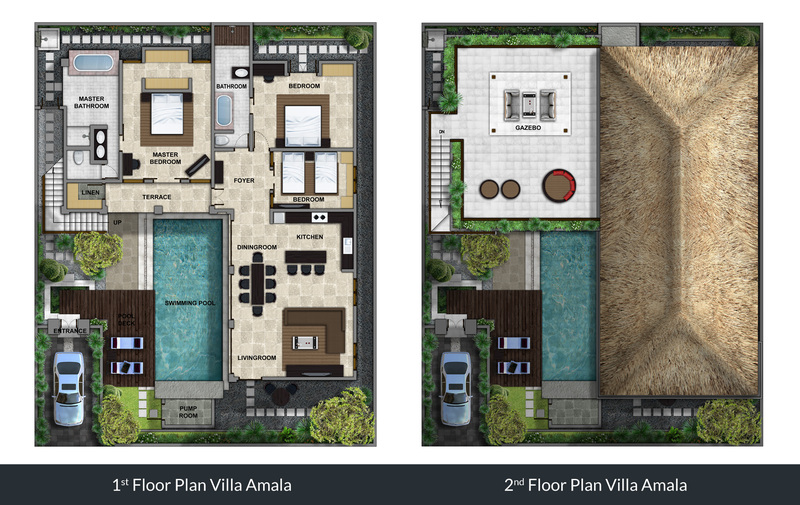 Villa Amala is a stunning 3 bedroom private pool villa located in the heart of fashionable Seminyak. 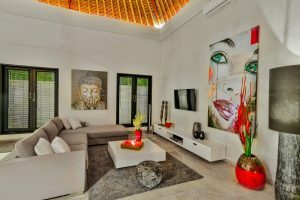 Having just been relaunched to the market after being fully remodeled by one of Bali’s top designers, Amala is sure to impress even the toughest of critics. 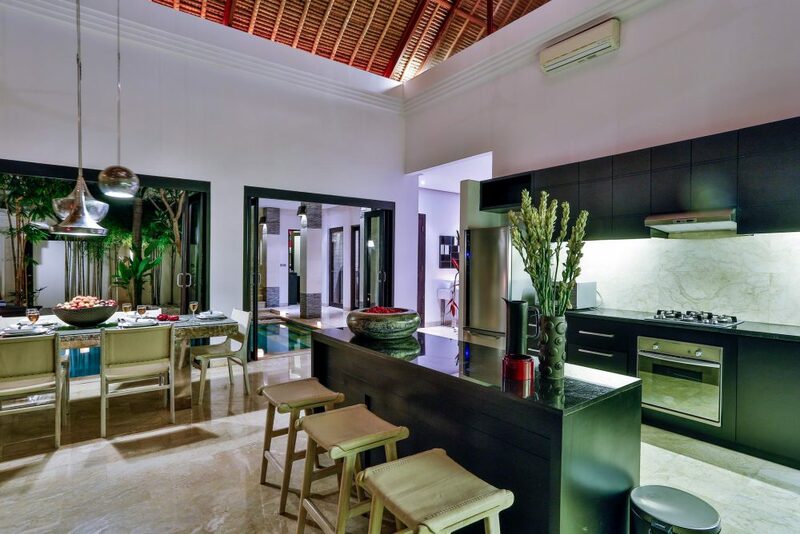 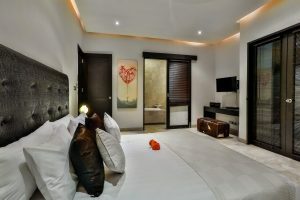 The villa is located within a gated secure complex at The Residence, Seminyak with villa manager, service staff and maintenance staff available round the clock in addition, food and drinks can be ordered from our Guest Services till 11pm. 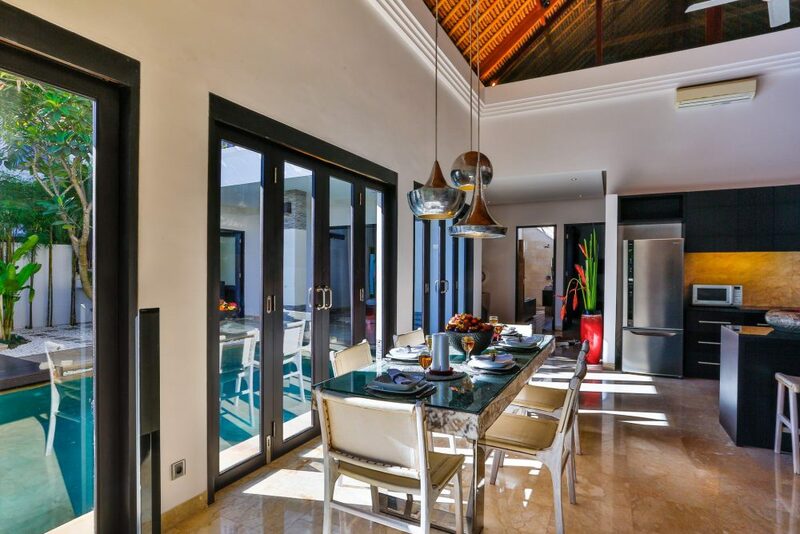 This single level villa offers enclosed kitchen, living and dining rooms overlooking the garden and pool area. The living space features an L-shaped sofa, 42inch flat screen TV with DVD surround sound system, and the super stylish dining table seats eight creating the perfect setting to enjoy your morning breakfast which is served daily in your villa. 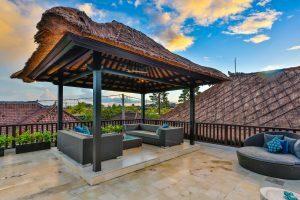 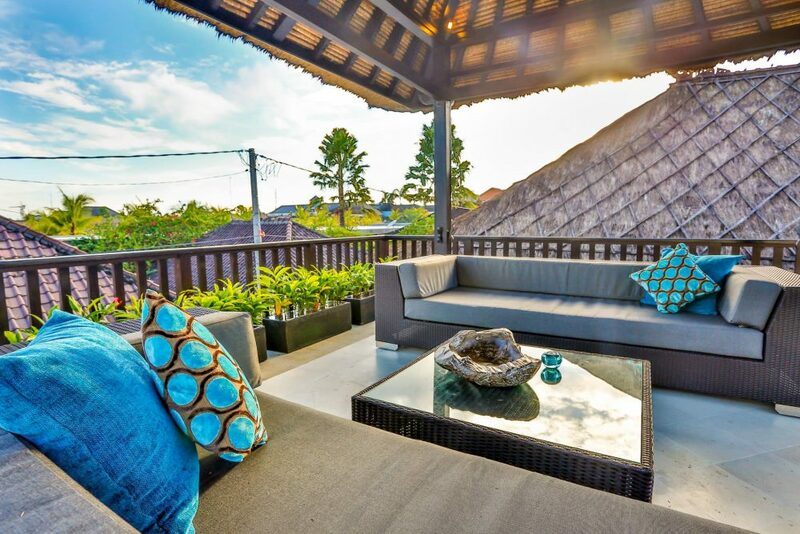 There is a rooftop terrace with inviting gazebo with comfy rattan furnishings, the perfect place to enjoy afternoon drinks with sunset in the background. 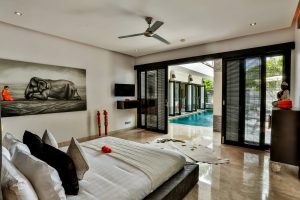 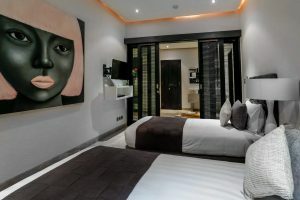 The villa offers two gorgeous bedrooms under the main villa roof, while the third bedroom is located next to the living space which is fully air-conditioned with bi-fold doors opening out onto the pool. 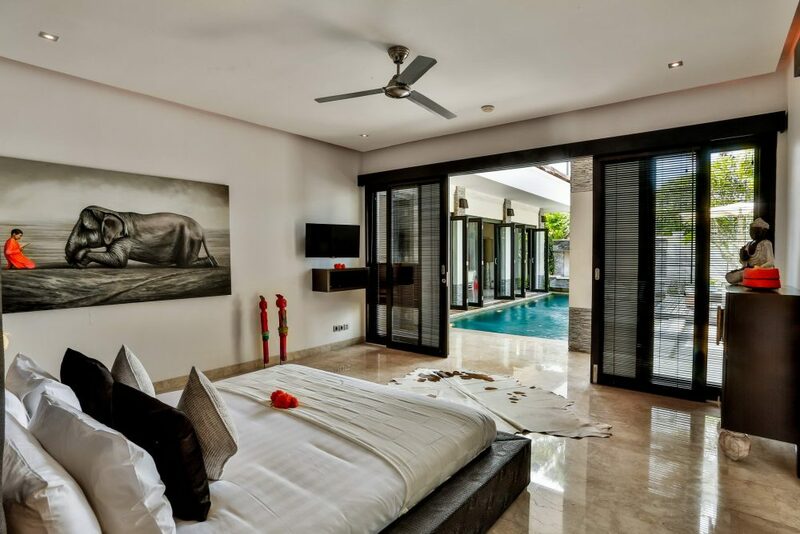 The master bedroom leads off the pool terrace with a large indoor and outdoor ensuite bathroom. 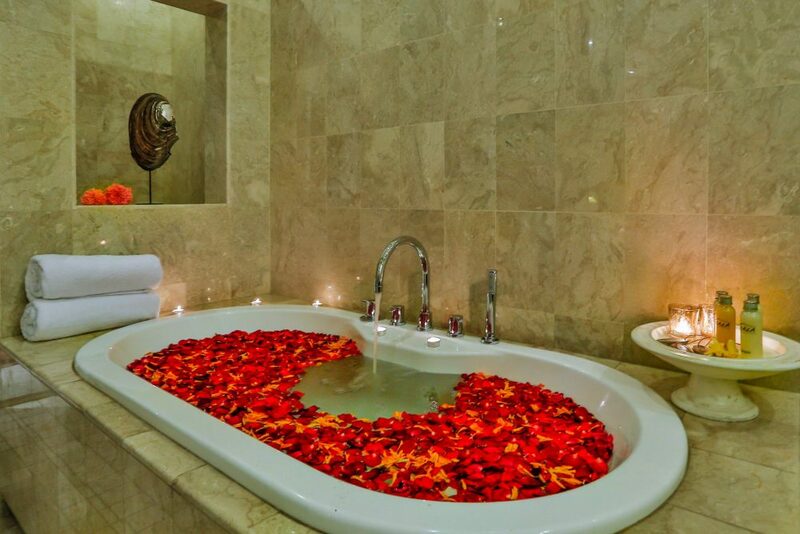 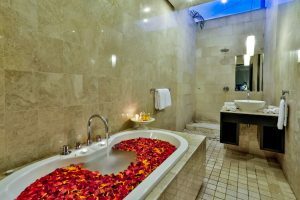 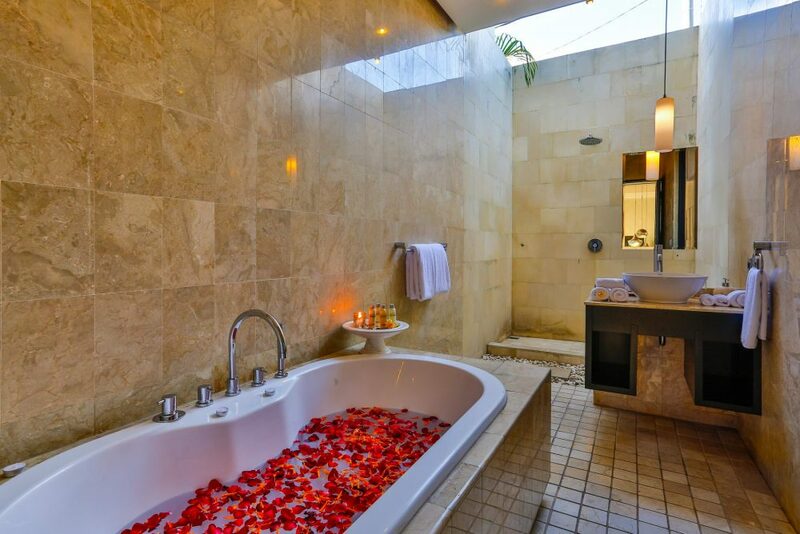 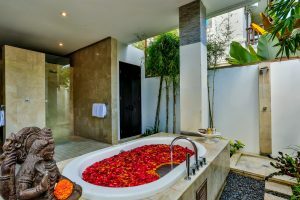 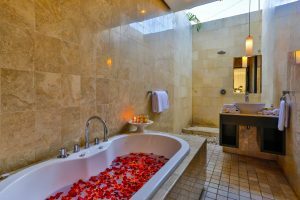 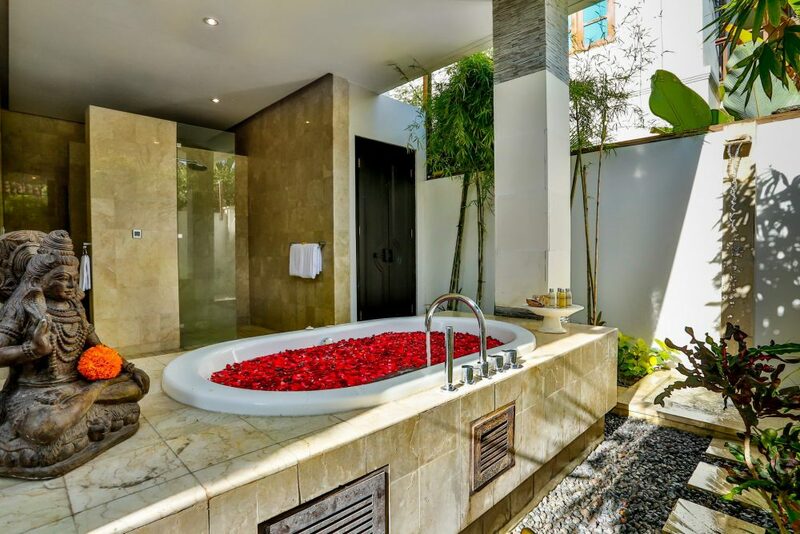 The main bathroom of the villa also serves as an ensuite to the 3rd bedroom and all bedrooms offer flat screen TV’s with cable television, plus DVD players. 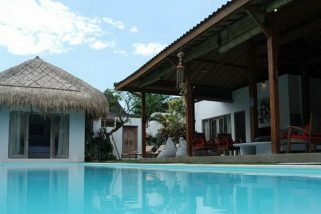 Villa Amala is staffed by our amazing team of butlers, maids, villa manager, pool and garden attendants. 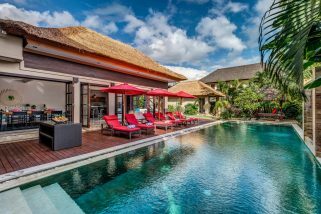 All of our team are there to really make your stay as truly amazing as possible with their warm Balinese hospitality and 5 star service. 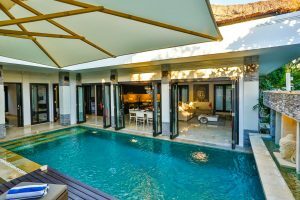 So whether it is arranging in-villa massages, day tours, transport arrangements or special dinner bookings, just ask and our team will make it happen. 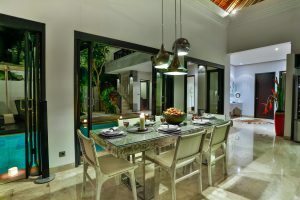 For boutique shopping or exclusive dinning and nightlife, you are no more than an easy 5 minute walk to Jalan Laksmana and Jalan Kayu Aya commonly known as “Eat Street” with its plethora of cafes, restaurants, shops and boutiques. 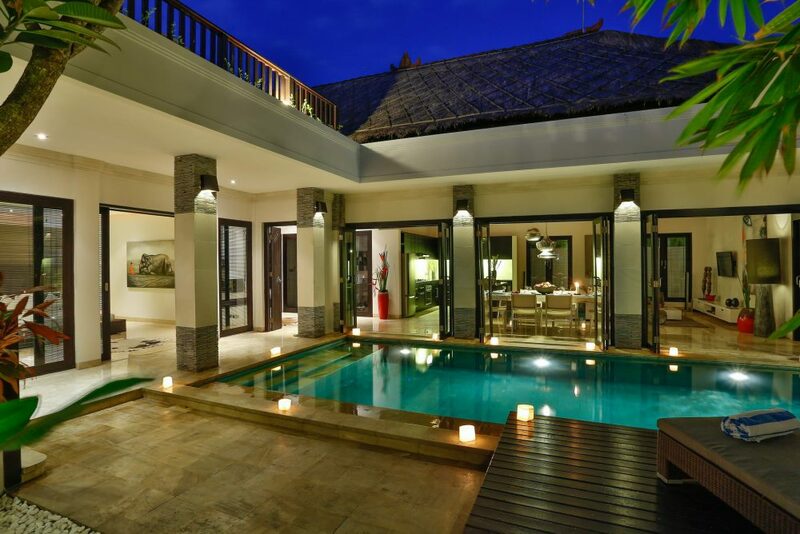 Seminyak Square and Seminyak Village, two upmarket shopping centers can also be found here. 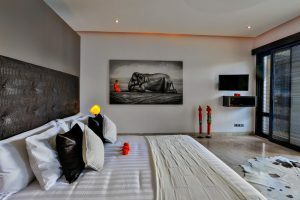 All staff were very friendly and helpful with anything we needed. 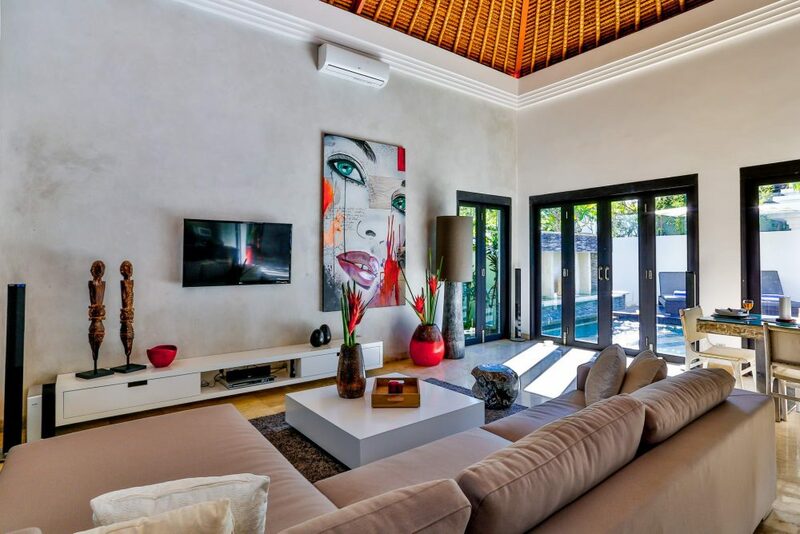 This bewitching 4 bedroom villa is desirably located about 500 metres from the exclusive Kudeta beach club, famed for incredible sunsets and only a short distance from some of Seminyak’s best restaurants and boutiques.